Gardening can be a relaxing, therapeutic hobby as you nurture seedlings, encourage growth and bring your harvest to fruition. But if you just want to take a moment to breathe, reflect and center yourself, it isn’t necessary to get out the garden clogs, sharpen your hand tools or get dirt under your fingernails. 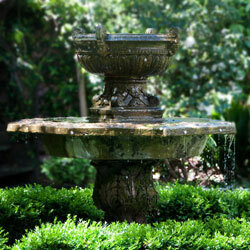 Creating a peaceful meditation space in your garden is easy, and can turn any garden into your own private sanctuary. As our lives get ever busier with hectic schedules and cramped appointments, it may seem impossible to have any time for thoughtful reflection or meditation. Furthermore, smaller living spaces and more crowded urban areas can make it seem equally impossible to have any space for solitary peace. Without the ability to relax, we’re faced with skyrocketing stress in our lives, along with a host of different health problems such as tension headaches, high blood pressure, depression, obesity and more. More and more studies, however, are demonstrating that time spent in nature is beneficial for reducing stress and tension, and there’s no better place to easily enjoy nature than in your own garden. Before creating your meditation space, you need to plan what you want to use it for in order to ensure you have enough room and all the right touches for your peaceful retreat. Meditation can mean something different to everyone – you might prefer a place for quiet, contemplative prayer, or you could be interested in an outdoor space for yoga practice. For some people, a restful space for coloring or painting is their ideal meditation spot, while others may want a natural niche for reading or journaling. Creating or listening to music may be part of your meditation practice, or even a cozy spot for an outdoor nap. 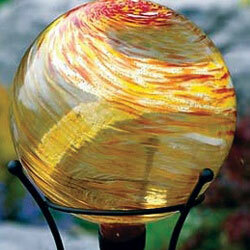 Whatever means peace and relaxation to you, it can be incorporated into your garden. Once you know how you will use a meditation space in your garden, it is essential to eliminate other distractions and interruptions from that space. Unwanted noises, glaring streetlights, unsavory sights and even unpleasant smells can interrupt meditation and disrupt your relaxation, but it is easy to plan your gardening to eliminate those difficulties. For example, a green wall or trellis can be used to block an unsightly view, and the plants on it will help muffle noises. You could also consider a small fountain for the soothing tinkle of running water to block traffic or neighborhood noises. Climbing, clinging vines can be used to cover structures with greenery to increase the natural feel of the space. Opt for arbors or pergolas that can help create comfortable shade and define the space without completely blocking sunlight, and consider fragrant flowers nearby if unwanted aromas are invading your garden. In order to enjoy your meditation space, you will need a place to sit and relax within it. This may be a comfortable bench, a cozy chaise lounge, a soothing hammock or any other type of seating. A chair-sized boulder can be a natural alternative, or you may opt for a more whimsical swing to add a dash of fun to your personal space. You’ve taken steps to block sights you don’t want to see in your garden, but a good meditation space will also include sights you want to look at. A bird feeder or bird bath can invite beautiful feathered friends to share your space, or you might prefer a lovely piece of garden art, a gazing ball, plants in your favorite colors or even unique mulch or paving stones in a therapeutic pattern. Pleasant sounds can help add a focal point to your meditation space, allowing you to focus on unique tones to help center yourself. 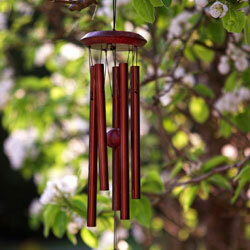 A wind chime, waterfall fountain or even a way to bring your favorite music outdoors can be a wonderful addition to a peaceful meditation space. Water can serve several purposes in a meditation space. Flowing or splashing water provides natural white noise, and the sparkles of the water are ideal for meditative gazing or creating soothing reflections. Consider different aquatic options, such as a small stream or brook, a weeping rock, a fountain or even a reflecting pool. You can even opt for a small pond for goldfish or koi if you desire. Above all, remember that there are no strict rules for creating your personal meditation space. Whatever brings you peace and joy can be part of your design, and it can change as your tastes and preferences change. 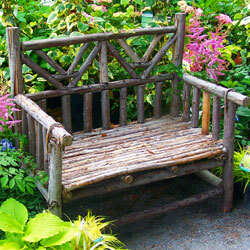 Garden meditation spaces can vary as much as any other part of the garden, but each one helps nurture our green spirits.